June's Green Tease events in Glasgow and Edinburgh saw us exploring the relationship between art, in various forms, and sustainability. In Glasgow we focused on the use of performance art to explore our relationship with the environment, and in Edinburgh we were discussing the potential for children and young people to creatively engage with issues of sustainability through art. Performance artist and director of the UNFIX Festival Paul Michael Henry led the discussion in Glasgow. UNFIX (10-12th July) is a festival of performance and ecology, involving live performance, dance, film, installations, workshops and debates. It understands ecology to be broader than the environmental sense in which it is normally taken, and instead considers it to be the many ways in which we are interdependent on each other, our surroundings, our bodies and psyches. 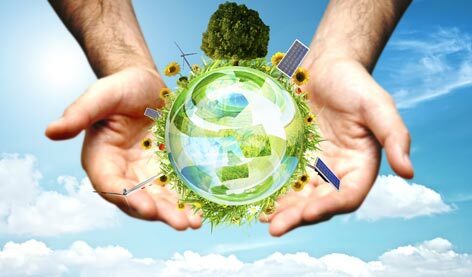 Ecology is an environmental concept, but it is also a political, economic, and cultural concept that affects our mental and physical beings. Indeed, UNFIX conceives of individuals, with their mental and physical beings, as microcosms of the whole. We are the Earth; by protecting the Earth we are protecting ourselves. To this end, Paul led us through various exercises exploring our sense of self and its relation to the physical surroundings. A particularly interesting one involved turning out the lights and moving at a constant pace out of our chairs, onto the floor, and across into the seat to our right over the course of five minutes. This made us exceedingly aware of where we were relative to each other and our surroundings, as well as exploring our sense of time – surprisingly not many made it into next seat before the end! We also discussed the idea of art as a language. The same topics can be discussed in multiple different languages and are hence conceived of in a multitude of ways. Each language reflects a different approach. The same can be said of the different arts. Each artist will approach a topic in a different way, in their own language so to speak, and art can therefore act as a catalyst for discussion, debate, and the formation of new ideas and perspectives. 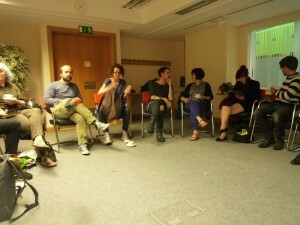 We intend Green Tease events to help facilitate such discussion, to provide a network in which a wide range of approaches and ways of thinking about climate change and sustainability in artistic practice are supported. ArtCOP was the main topic of discussion at Edinburgh’s Green Tease, where Assembly Rooms and Church Hill Theatre Green Champion John-Paul Valentine led the discussion. Also present at the event were John-Paul’s colleague Will, the curator of Gayfields Creative Spaces John Ennis, several members of the Creative Carbon Scotland team (including director Ben Twist, project developer Gemma Lawrence, and blogger Kitty Dutton) and artists Alice Cooper, Katrina Martin, Venus Grelin, Hannah Imlach, Caroline Malcolm, Jaimie MacDonald and Mairi Claire Bowser who work in multiple disciplines including design, upcycling, and visual art. In particular we were focusing on the ArtCOP Schools Art Competition, in which children and young people will be encouraged to creatively engage with topics in sustainability and the United Nations climate change discussions, happening at the 21st Conference of Parties (COP21) in Paris this December. The variety of expertise and experience in the room fuelled the development of the project as we discussed both conceptual issues, such as the theme and nature of the competition, and practical issues, such as how and where the work is to be displayed. A veritable ‘Community of Practice’ in action. It was decided that, rather than a competition, it would be better as a Schools Art Project culminating in an exhibition of the work created throughout. This works better with the government’s Curriculum of Excellence as well as logistically. 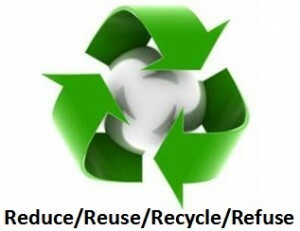 The slogan ‘Reduce, Reuse, Recycle’ captures the essence of circular economic principles, whilst also providing various nuclei around which schools could base artistic projects. We were informed by Alice, who is from Australia, that they also include the instruction ‘Refuse’, to encourage people to consume only what they need. Sustainable consumption is not just about being responsible when consuming, but about questioning the need to consume in the first place. We felt that this added an interesting perspective for schools to engage with; one that is often lacking in the UK dialogue. *For a quick and accessible explanation of the need for a circular economy and the principles upon which it’s based, see Annie Leonard’s excellent short documentary titled ‘The Story of Stuff’ (watch here: https://www.youtube.com/watch?v=9GorqroigqM).